I buy so many things off amazon, but only recently have I started really appreciating the selection of beauty products they carry. Every time I go online I find that I’m seeing more brands I recognize for prices that are way more reasonable. I thought I’d review a few items I try from Amazon, some may be well known products or brands, while others might just be random things I want to try. I thought it’d be fun to share them here with you. BH Cosmetics Highlighter Brush – $6.21 I’m familiar with the BH Cosmetics line through watching Carli Bybel’s YouTube channel (she collaborated some time ago with them to create a makeup palette). After purchasing the Becca Shimmery Trio from Sephora (see it in my haul here), I realized that I needed a brush exclusively for hightlight because I didn’t want to use one of my eye shadow brushes for something so glittery. I really wanted to be cost conscious because I was only using the brush for one thing. I went on Amazon because I knew they carried a lot of cheaper brushes. I ended up purchasing this bad boy after reading the online reviews. I’m really happy that I got this. It’s the perfect size for placing highlighter on the cheeks for me. I like that the bristles are soft to the touch but dense enough that it places highlighter exactly where I want it. This cost way less than many brushes out in the market but I think it performs superb. I don’t always use hightlight so I didn’t see the point in investing money in a MAC brush for example. This gets the job done. 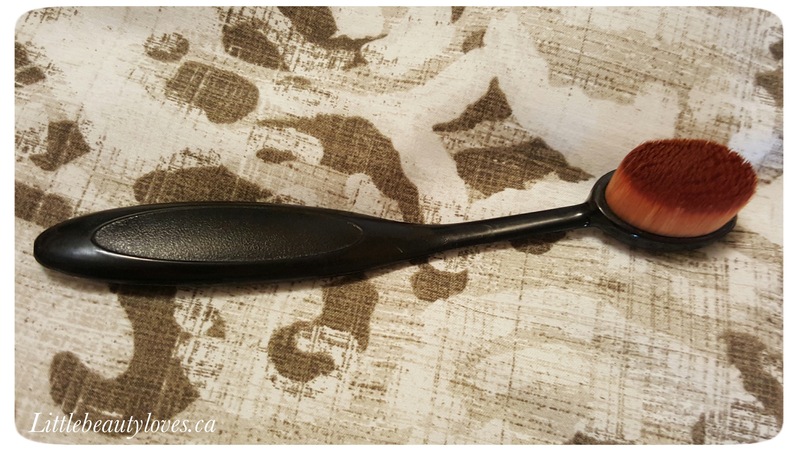 Susenton Pro Cosmetic Brush for face – $2.36 OK, yes, I bought a brush for $2 because I wanted to know what the hype around the toothbrush style brushes was all about. I thought that if I liked this one enough I might buy one from a well know brand. Well, I can’t talk about the high end ones because I’ve never tried them, but if you think this brush was going to be terrible, then you’re in for quite a surprise. This brush is amazing! It’s incredibly soft and super dense! Best of all, I’ve washed it 3 times and NO FALL OUT!! It’s really nice for applying liquid foundation and like similar brushes out in the market, you need very little product to get good, even coverage. 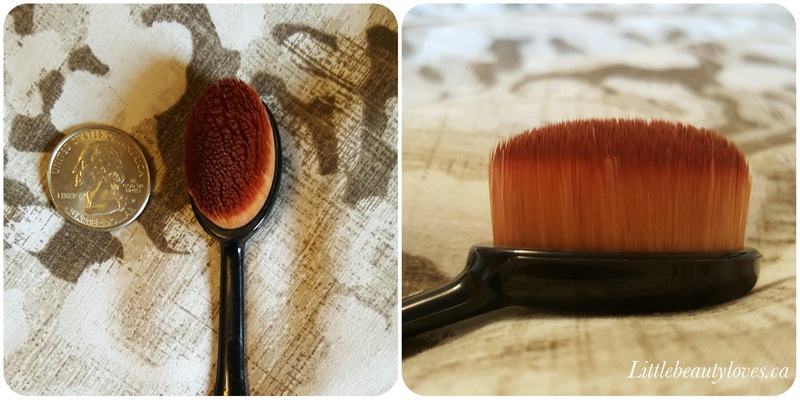 I won’t say that this is absolutely the best foundation brush I own, but for the price and how small and cute this is, it’s definitely worth picking up. You could even take it with you for travelling and then throw it out at the end of your trip and save yourself from bringing your most valued brushes. That’s how amazing this price really is, most actual toothbrushes don’t cost as little as this! Susenton actually have a full line of face brushes they are selling in a set for contour, eyeshadow and blush that I’m thinking about getting for $20. I was that impressed with this. The only down-side is that shipping took about 5 weeks to arrive at my home. Real Techniques Makeup Sponges – $9.99 These sponges are not new in the market, you can actually find them at Rexall, but I think they are the best priced on Amazon. I actually bought mine for $15.00 for the two pack but I think the seller has since closed shop on the Amazon site. Still, $9.99 for one sponge is not a bad price. I have used these sponges quite a bit and I really like them. Once wet, it expands to about 2 times it’s size and I actually like the super flat side on this sponge because it makes applying foundation go a lot quicker for me. I have given these sponges to my mom and friends as alternatives to the Beauty Blender. This is a bit more dense than the Beauty Blender – it’s not stiff though like some makeup sponges, it’s very bouncey and soft. It’s more like the sponge material used for makeup wedges you can find in packs at the drug store. One downside is that you need to rinse this out really well because it retains more water than the Beauty Blender does, so if not squeezed tightly, any access water can really make foundation too liquidity and hard to blend. Like I mentioned about the Susenton Brush, this isn’t my favourite sponge, but for something really affordable, I think it does the job well. What have you bought and tried off Amazon lately? What are your thoughts on the items above? I hardly ever shop on Amazon. Only books and some small electronics accessories. Do you get free shipping when you order these? And YAY on that toothbrush face brush! You know I like mine a lot too. Isn’t it a weird concept, yet it works so well? Strange this isn’t a more popular thing in the makeup world. 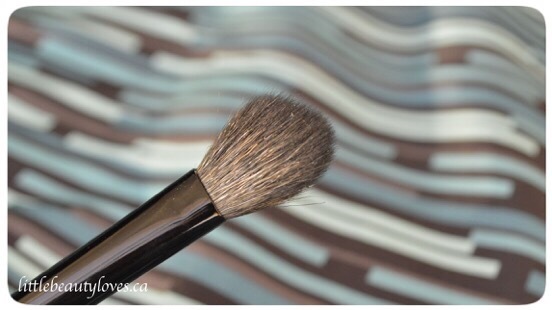 I want to get the MASSIVE version of that brush that covers my entire face, lol. I just recently started using the RT sponge and while I like the texture, I’m not a big fan of the shape. Just doesn’t seem to be as good as an egg or gourd shape. Now I’m going to order some beauty stuff off Amazon! I always get lost on the Amazon website, and always surprised with the brands they have. Most items ship for free or for a minimum charge.